Strategic Affairs Minister says Irish Senate's decision is "disgraceful" and "tainted by anti-Semitism". 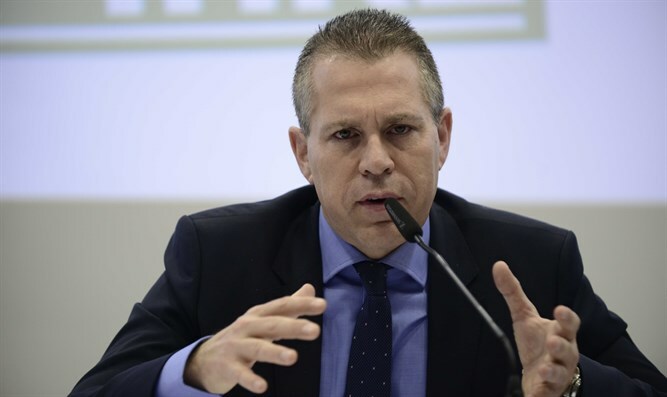 Strategic Affairs Minister Gilad Erdan (Likud) on Wednesday blasted the Irish Senate after it advanced a bill that outlaws the sale of Israeli “settlement goods” in the country. “This proposal is disgraceful to Ireland and is tainted by anti-Semitism. The Irish Senate today gave a tailwind to contemptible boycott organizations that have links with terrorist organizations and cynically use the expression 'human rights' for purposes of spreading hatred and deepening the conflict," said Erdan. "If the law is passed, we will act to expose all its motives and impulses, and we will also act to legally prevent its implementation in accordance with international trade laws and in accordance with American legislation," he added. The Irish parliament’s upper house voted 28-14 in favor of the measure on Wednesday. It was the Senate’s third and last vote on a measure titled the Control of Economic Activity (Occupied Territories) Bill 2018, which states that “it shall be an offence for a person to sell or attempt to sell settlement goods,” or assist in the sale of such goods or services. The so-called “Occupied Territories Bill” was promoted by Irish Senator Frances Black. The discussion on the bill at the Irish senate was postponed in January after Ireland's Ambassador to Israel, Alison Kelly, was summoned for a meeting at the Foreign Ministry to clarify the legislative initiative. However, the bill was brought back to the table in July.